The more I use Premiere Pro CS5, the more I realize how it is really Photoshop for video. 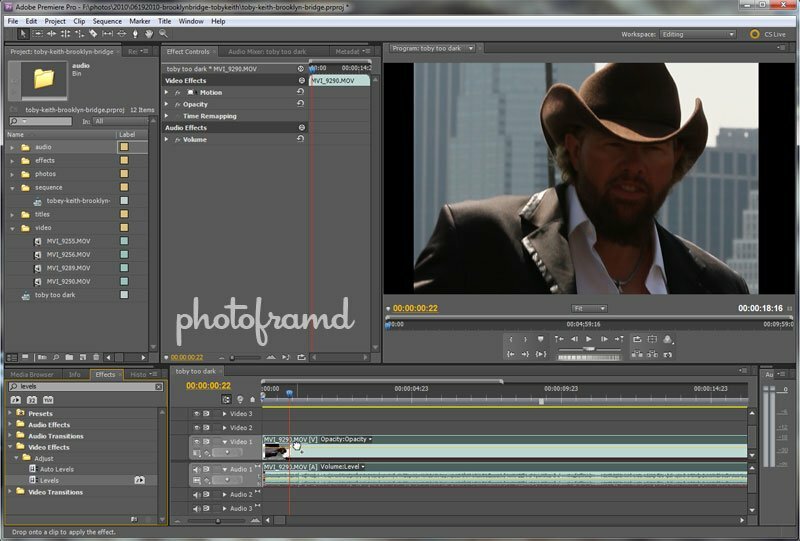 Take a look at the above images of the same moment in one of my Toby Keith clips. Strong backlighting is a problem for any camera (even the Canon 7D). In the past, I would have discarded the video and moved on. 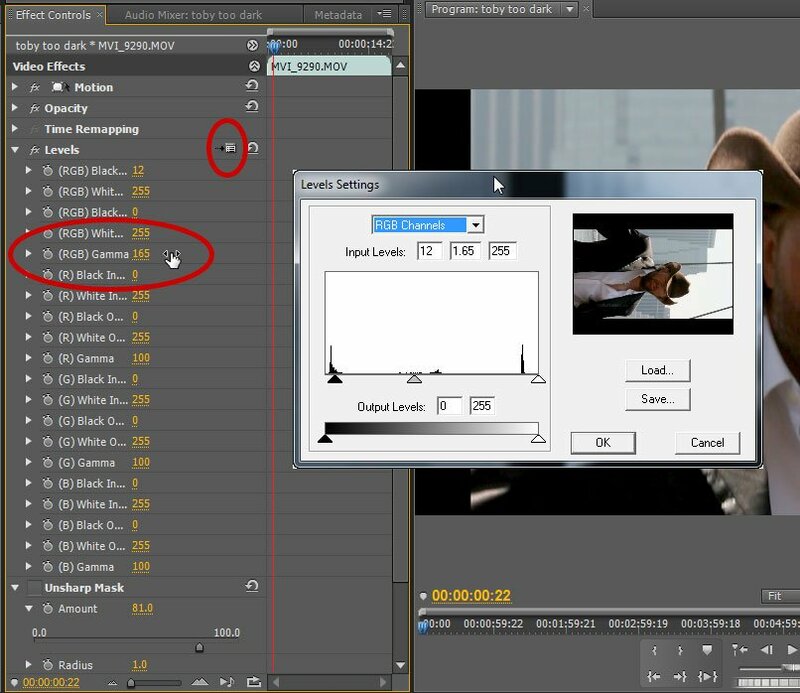 But, Premiere has a powerful Levels filter just like Photoshop which can save the day. 1. Search for Levels and drag it on to the video clip in the Timeline. There are so many Effects included in Premiere Pro CS5, that it can be tough to find the one that you need. CS5 includes a Quick Search function which allows you to just start typing in the Effects Panel to locate the desired Filter. Just type Levels, click on the Filter and drag it on to the video clip in the Timeline. 2. Levels can be adjusted by scrubbing sliders and the standard Levels graph. 4. Be careful not to push to far and add digital noise. Of course, directly manipulating Gamma and Levels and bring out digital noise. But, there is even a great Filter for that. Neat Video offers 32-bit/64-bit plugins for both Premiere Pro CS5 and After Effects CS5. Take a look at my articles on both plugins.